Owning a car can be hard work. You've got so many dates and details to remember and there are serious consequences if you let don't renew on time. 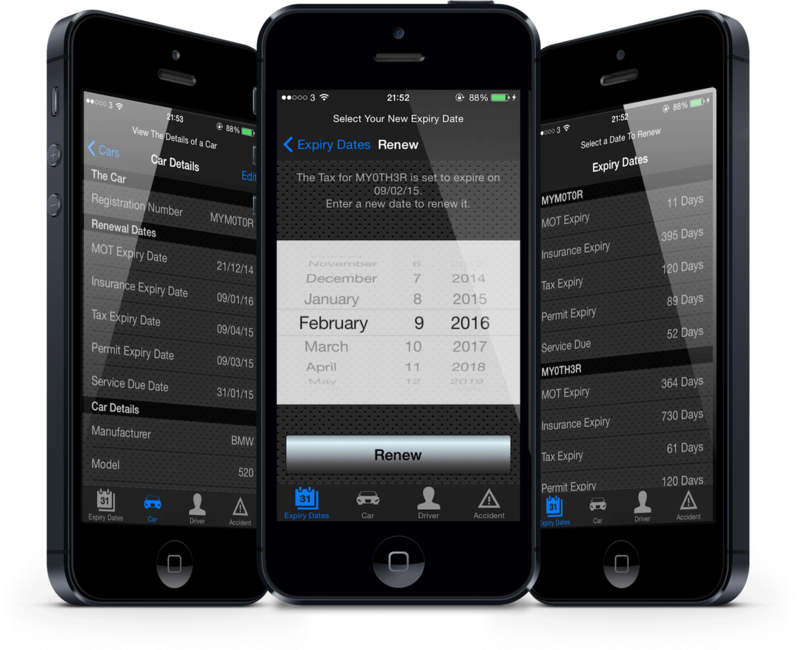 My Motor simplifies your life by keeping track of all the expiry dates for your car(s) and notifying you when renewals are due. It makes renewing your insurance easy as it records all the details you've likely forgotten about your car(s), yourself and anyone else on your policy, such as; the details of any claims and convictions, calculating the years since they occurred and saving you from digging around for old documents. If you're involved in an accident, My Motor will offer you advice on what to do and provide you with a place to record all the information you'll need about the accident. This is just the app I need to keep my car details all in one place. The accident details are a great touch also I hope I don't need to use that part though!! One very handy app for any car driver. Missed auto renewal date for my insurance last year so ended up probably paying over the odds as I normally do a bit of comparison before the date. Won't forget to do that this year! I'm terrible with remembering dates of my MOT and TAX so this'll be great. Nice touch having accident info and being able to write details of the incident as I'm bound to forget what Post-it note I wrote it on. Yet Another Sweet App Mr Bridges.